Have you ever come home from a long day, anxious to get your aching feet out of your work shoes? Is there any better reward than kicking off your shoes and slipping your feet into a cozy, comfy pair of slippers? In fact, there is nothing like the feeling of a brand new pair of slippers; the plush, soft sensation is like walking on clouds. Slippers for women are one of those truly thoughtful holiday gifts if you are stealthy enough to determine your loved one’s foot size. It’s a gift that few people buy for themselves because we tend to think of them as a “luxury.” When combined with a comfortable bath robe, your loved one may find it hard to get dressed and go out into the world. And while slippers may seem luxurious and even indulgent, podiatrists recommend that all patients have a quality pair of slippers in the home. Not only do they keep the spread of bacteria at bay, but they can also provide needed support for weary feet. Read on for our top slipper recommendations for different needs. Why Do Podiatrists Recommend Slippers For Women? There are a number of reasons why slippers are a great solution for the home. We generally do not recommend wearing outdoor shoes in the home because they pick up all sorts of bacteria, fungus, and microbes out in the environment that can make you sick. Switching out of shoes and into slippers also gives your footwear adequate time to dry, which reduces foot infections. Additionally, going barefoot at home is not usually the best choice — particularly if you have flat, aching arches, foot pain, or diabetes. Slippers protect your feet from damage, keep your feet warm, and provide support. You’ll not only feel the benefits of slippers in your feet, but also in your knees, hips, and back, since they provide cushioning for the whole skeletal structure. Is It Time For New Slippers? You may already have a pair of slipper you love, but it’s possible that you’re wearing them past their “shelf life.” Since the feet are always shedding skin cells, it’s recommended that you buy new slippers each year. Some people wear socks and slippers to get a longer lifespan. Usually your slippers will become threadbare, develop an odor, or wear-out on the bottom, which are tell-tale signs that you need a new pair. – Sheepskin Slippers: These slippers are best for people who always have cold feet. The sheepskin insulates, but also wicks away sweat and keeps odor at bay. Ugg is a popular brand for sheepskin boots and slippers, according to the Poughkeepsie Journal. Cloud Nine and Old Friend are popular brands sold at HealthyFeetStore.com. – Removable Insole Slippers: Diabetics and people who wear custom orthotics can add arch supports and insoles to these deep, specially-designed slippers for enhanced comfort. Some come with adjustable straps, while others may be in a moccasin or clog style. Acorn, Lamo, and Cloud Nine are popular brands in this style. The APMA has two brands of slippers they recommend for people with foot pain or problems. Orthaheel makes slippers with spa-like, award-winning orthotic foot beds, contoured arch support, deep heel cups, shock-absorbing mid soles and anti-bacterial liners.They specifically recommend the Gemma Mule Slippers and Shawn Slipper. 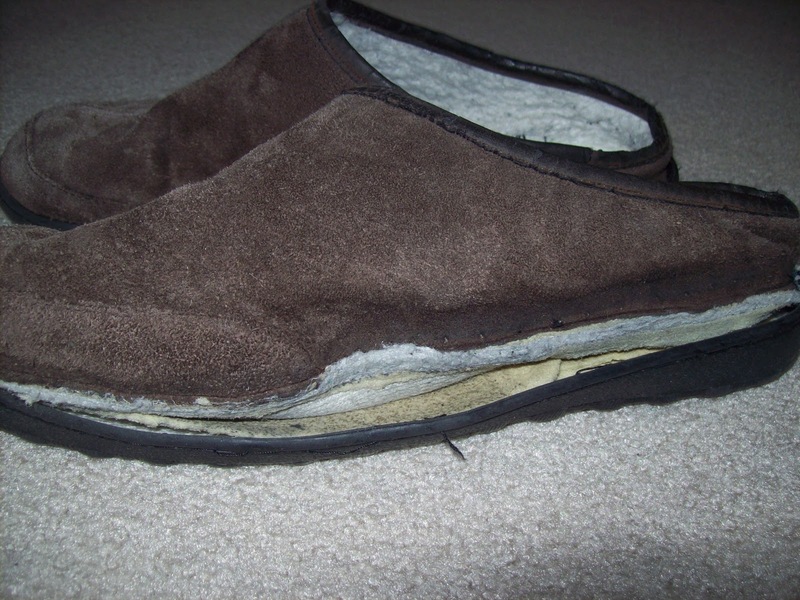 QVC-sold Vionic slippers also come highly recommended by podiatrists; try the Whistler Slipper or the Laura Slipper. No one should have to come home from a long day and deal with cold, achey feet. Instead, get your loved one a pair of comfy, supportive slippers for the holidays, and their feet are sure to thank you!